UGent DBm is your partner for 'innovation in construction'. We provide expertise, know-how and research infrastructure across the university on durable building materials, products and techniques. 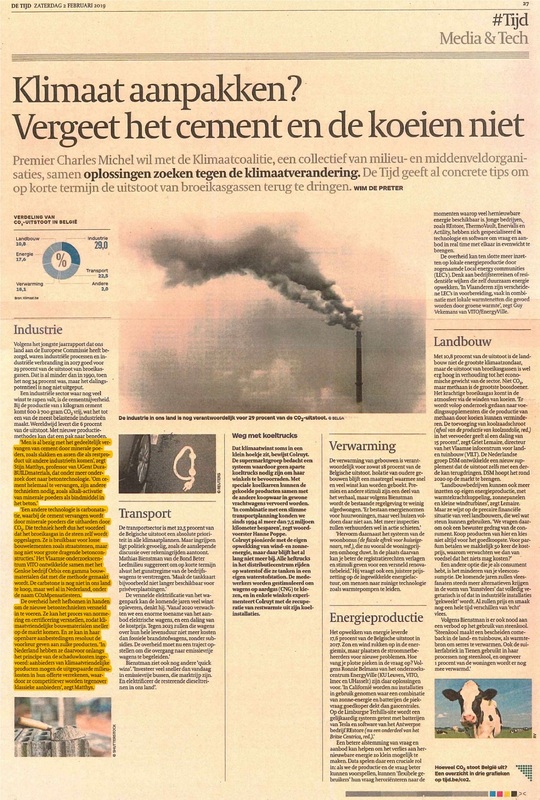 DBm in DE TIJD "Don't forget cement and cows"
DBm is working on technologies to reduce the impact of cement on the environment. Read the article in De TIJD (in Dutch). 2019-01-29 /// Our researchers of the Department of Structural Engineering 3D-printed a bridge on lab scale, applying shape optimisation to minimize the material use. More information can be found here. Invitation 2019-01-29 /// We kindly invite UGent reseasrchers for the DBmTalks Breakfast session of 29 January 2019. This 2 hours breakfast session brings you up to speed on the importance of IOF funding and inventions disclosure. Click here for more information on this free event. © UGent DuraBUILDmaterials. All rights reserved.